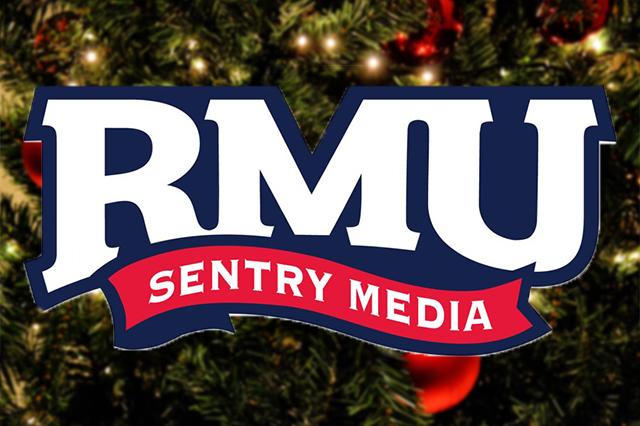 MOON TOWNSHIP — In order to celebrate the holidays, the RMU Sentry Media staff shares their favorite holiday movies, traditions and more. Logan Carney (Sports Manager): Die Hard is a Christmas movie and it is the best one, too. It takes place on Christmas at a Christmas party, is filled with holiday references and it’s about a man defining the odds to be with his family on Christmas. It’s a true yuletide treat! Jocelyn Burns (Social Media Manager ): I really like the old claymation type of movies, like “The Year Without a Santa Clause” and “Rudolph.” I think they are classics. 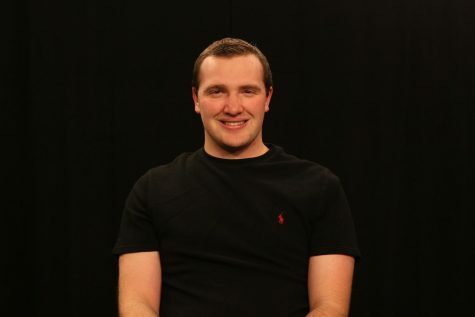 Garret Roberts (Arts and Entertainment Assistant Manager): My favorite Christmas movie will forever be “National Lampoon’s Christmas Vacation.” The movie is always quoted at family gatherings regardless of the time of year. Whether out sheer comedy or the Griswold family hitting to close to home, it always gets big laughs out of me. Maura Linehan (Arts and Entertainment Manager): My family always watches “A Christmas Story” on Christmas Eve. We stop whatever else we’re doing and sit down together. Sure, we pretty much know every line in the movie, but that’s part of the joy. Allee Thompson (Technology Manager): My favorite Christmas tradition would have to be burning a dummy that is filled with straw. This is a Panamanian tradition to represent getting old of your past self and start a new as a person for the next year. Jocelyn Burns (Social Media Manager): My family has Christmas brunch every single year. We go to my grandma’s Christmas Eve and then they come over the next morning for breakfast and to show off our favorite gifts. Gage McCall (Graphics Manager): Christmas is actually my least favorite holiday, more of a Halloween guy. However, to get into the holiday spirit my family and I do some fun & festive activities. I like all the cookie cutter Christmas cliches so bet your bottom dollar that Mariah Carey’s “All I Want for Christmas Is You” is on repeat as I sip on some Egg Nog & wait for Santa Clause. Garret Roberts (Arts and Entertainment Assistant Manager): My Christmas guilty pleasure is “Run Run Rudolph” performed by Lemmy Kilmister of Motorhead. While there are various rock bands that do great Christmas covers, the absurdity of Lemmy’s gruff vocals on a holiday album has a certain charm to it. Gage Goulding (News Manager): Anything Michael Buble because he is the go-to Christmas guy. Jocelyn Burns (Social Media Manager): My gifts never seem to be surprising anymore, but when I was younger I got a Barbie Jeep and thought that was the coolest thing ever. Maura Linehan (Arts and Entertainment Manager): My first bike is probably my favorite gift ever. It happened to be warm that Christmas, so I even got to ride it outside that day. Okay, it had training wheels, but I learned to ride it without them all by myself. Garret Roberts (Arts and Entertainment Assistant Manager): My favorite Christmas present was the full Harry Potter books in hardback. I was really into the series at the time, and getting all of the books was a great surprise. It came in Harry’s suitcase, which made it even cooler to own. I still have it stashed in my closet today, occasionally taking the books out to read. Brandon Aleman (Multimedia Manager): Hot chocolate and cookies. They go well together and it’s the best time of the year for both. Maura Linehan (Arts and Entertainment Manager): We have a nice dinner every year, but it’s Christmas Breakfast that’s my favorite. We get up (a little later now than when we were little kids), open presents, and then eat. It’s always chocolate-chip pancakes, thick and crispy bacon, and freshly cut pineapple, but for me, delicious wins out over variety. Garret Roberts (Arts and Entertainment Manager): Coming from an Italian family, my favorite Christmas dinner has always been lasagna. While most families have ham and cranberries, pasta and ham has always been a staple of our dinners and is delicious each time. Logan Carney (Sports Manager): Just like the Krabby Patty. The only people who don’t like eggnog haven’t given it a proper chance. Allee Thompson (Technology Manager): I am not a fan of eggnog. It is a disgrace to other Christmas foods. Julian Gregorio (Copy Editor): I have actually never tried eggnog — but maybe I will this season.